Guys, I can see into my future. And it is decidedly lobster-less. See, around the time my mom was my age (28 5/6ths), she discovered she could no longer eat lobster. Every time she tried, it made her sick. After a few more go-rounds, she was forced to give up eating the delicious crustacean for good, and hasn’t had a bite since. Though I’ve inherited many traits from my mother, I’d hoped I could escape this one. When I later learned that her mother also discovered the same tragic affliction in her late 20s and has lived the rest of her 85 years in a lobster-less void, I knew I was doomed. For me, it’s not really a matter of if the Curse of the Lobster will strike. It’s simply a matter of when. I can only imagine the horrors that await me once I cross the threshold into lobster-less oblivion. I have come to terms with my fate, but I’m not going to let lobster get the better of me while I can still help it. I’m going eat every possible bite I can, damn it. So, in anticipation of the curse’s arrival, I have dubbed 2014 The Year of The Lobster. Every time I have the chance to eat it, I do. Lobster bisque. Lobster mac and cheese. Steamed lobster. Lobster rolls. If lobster’s on the menu, or on sale at the store, its seafoody goodness is headed for my tummy. Note: No one needs a whole pound of lobster. It’s a trick because restaurants workers enjoy seeing your eyes bug out of your head when you find out what the market price really is. It’s never the most frugal option on the menu, but I have no choice. I must enjoy each succulent morsel of lobster while I can. Because I know one day, probably not too long from now, one of those morsels will be my last. No more lobster??? Sad sad sad day. I know, right? WHAT’S THE POINT OF LIFE WITHOUT LOBSTER?! I’m more of a crab leg gal, but the sentiment is the same. 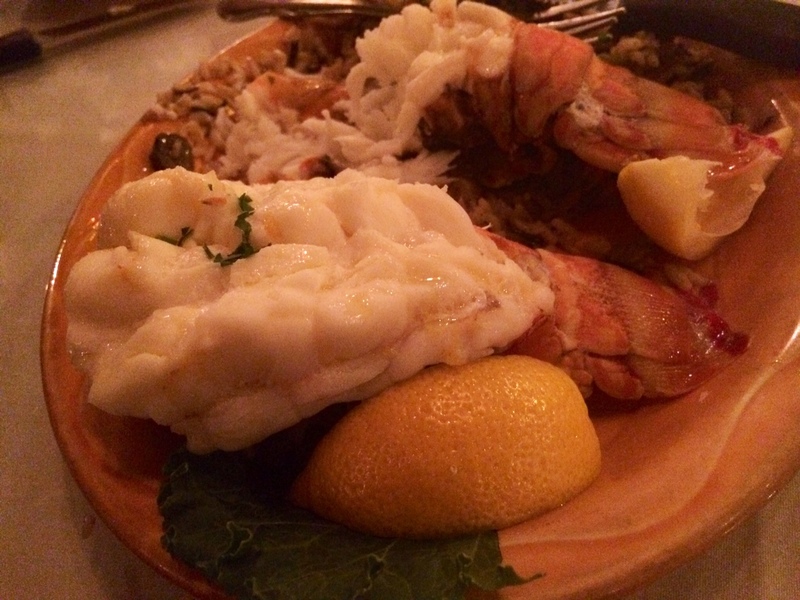 Enjoy 2014 – the year of the lobster! Luckily, since my mom can still eat crab, etc., lobster seems to be the only shellfish I won’t be able to eat (maybe they have more iodine or something?). Crab (but not krab or qrab) should be a sufficient replacement!